currrent location of the CABS buses on the Ohio State University campus. information, including when the predicted time the next bus will be there. o Tap the button at the top to select a different route. 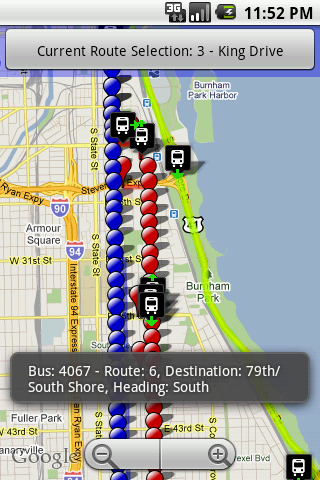 It will show the route, stops and any buses on that route. the next bus is scheduled to arrive. on the route, and the current direction of travel. that came with the application. routes in the full route list. aircraft, such as make and model, engine, owner, etc. an address. Uses information from whitepages.com for reverse lookups. Play sound clips from Duke Nukem, Dumb and Dumber and Airplane.